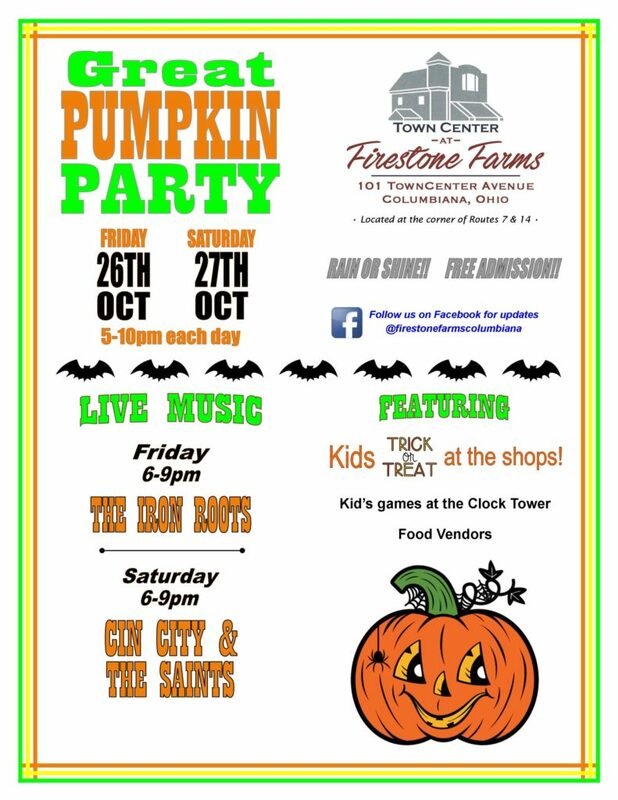 Firestone Farms will hold GREAT PUMPKIN PARTY Friday, October 26th and Saturday, October 27th from 5-10 each night. Each night will feature FREE live music on our stage, located in front in the newly-constructed replica of Harvey S. Firestone’s boyhood home. Kids can come in costume and enjoy trick or treating at our shops and businesses! And as always, we have our fun games around the Clock Tower, including chess, checkers, hula hoop, bocce, and corn hole! We also have ring toss and bean bag toss games that are fall related! 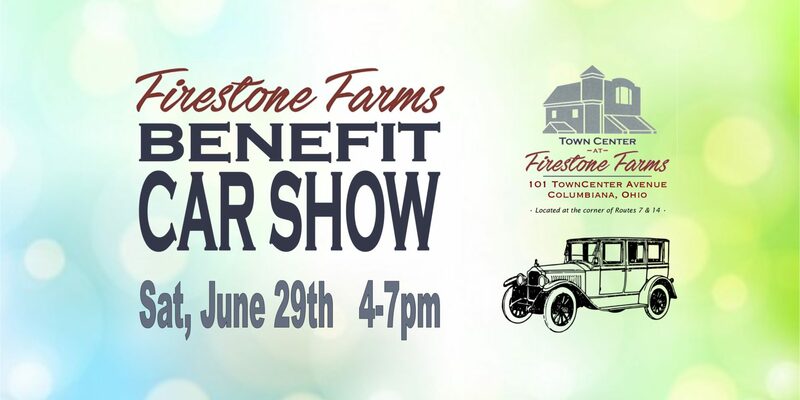 Our shops – Moondance Boutique, Madison Corner Gifts, Finer Things Boutique, and Wink Eyewear will be open late for this fun event! Stop in while you’re here and see what they have to offer and check out their sales and specials and get a jump on your holiday shopping! Grab a froyo or float from Orange Leaf or a cold beverage and yummy fries from Homestead Kitchen & Cocktails, then sit back and relax in our Courtyard. We will also have SmokeWorx Street Cuisine and Richardson French Fries and Concessions food trucks set up! 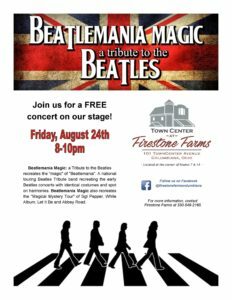 Firestone Farms welcomes BEATLEMANIA MAGIC – A Tribute To The Beatles on Friday, August 24th 8-10 pm. Beatlemania Magic is a national touring Beatles Tribute band recreating the early Beatles concerts with identical costumes and spot on harmonies. 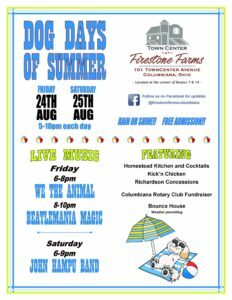 Beatlemania Magic will be joining us as part of our DOG DAYS OF SUMMER event that will be held Friday, August 24th and Saturday, August 25th from 5-10 each night, featuring music on our stage with the newly-constructed replica of Harvey S. Firestone’s boyhood home. Our shops – Moondance Boutique, Madison Corner Gifts, Finer Things Boutique, and Wink Eyewear – will be open late for this fun event! Stop in while you’re here and see what they have to offer and check out their sales and specials! Enjoy appetizers or dinner on the patio at Homestead Kitchen & Cocktails, grab a froyo or float from Orange Leaf, then sit back and relax in our Courtyard. We will also have Kick’n Chicken and Richardson Concessions food trucks set up! And grab a cold beverage from our Beer and Wine Cart. Proceeds and tips from these sales will be donated to Columbiana Rotary Club. They are raising funds for “Operation Warm”, a project that purchases brand new winter coats for children in need in our local community. We have a Bounce House from Game Craze Party lined up (weather permitting! ), and as always, we will have our kid-friendly games around the Clock Tower – hula hoops, giant jenga, chess, checkers, and more! 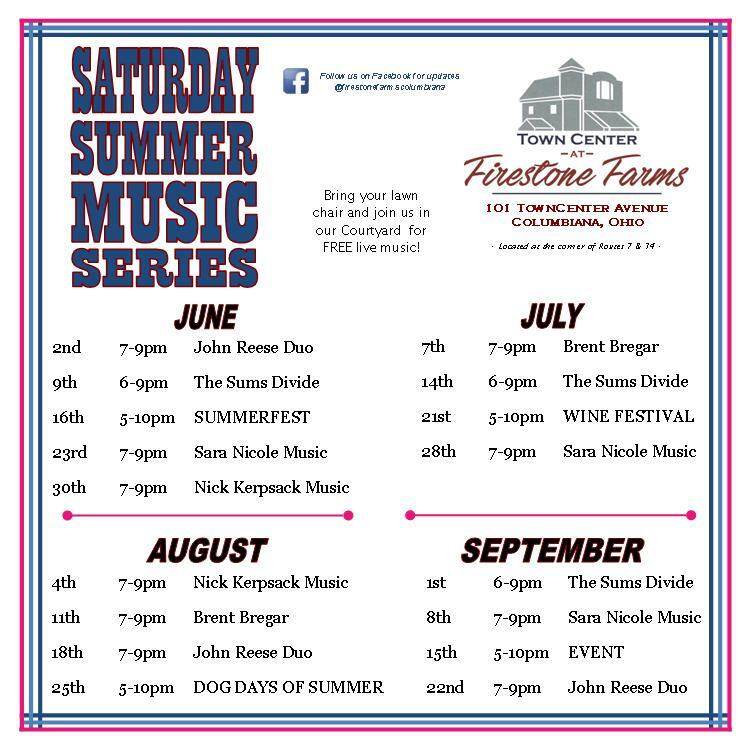 Firestone Farms is proud to present our SATURDAY SUMMER MUSIC SERIES. Free live music will be featured on our stage every Saturday starting June 2nd through September 22nd. And every month, there is a feature event that will include even MORE music, including Friday nights! Grab a froyo or float from Orange Leaf or a cold beverage and yummy fries from Homestead Kitchen & Cocktails, then sit back and relax in our Courtyard. 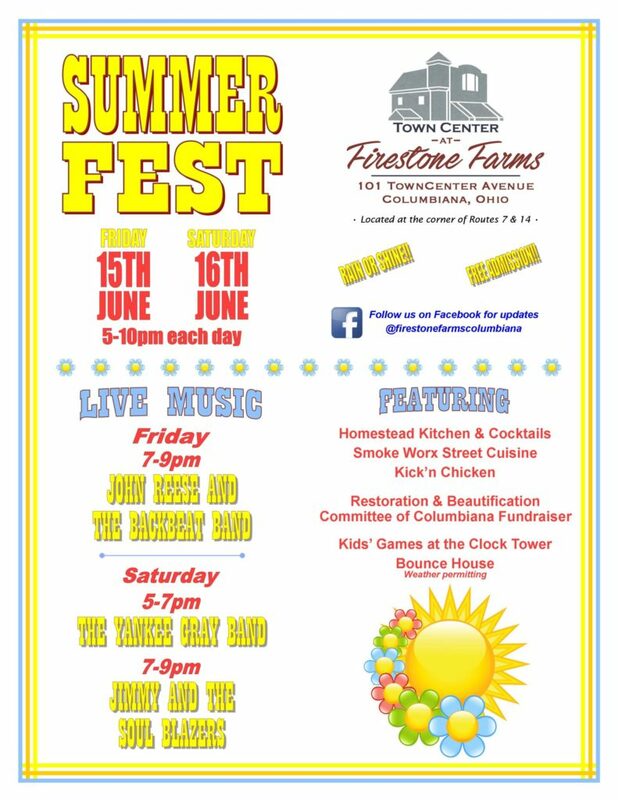 As always, we will have our kid-friendly games around the Clock Tower – hula hoops, giant jenga, chess, checkers, and more! All events will be held rain or shine! In the event of inclement weather, music will be moved to Homestead Kitchen & Cocktails. The Worst Party Ever at Firestone Farms will be held Friday, October 27, 2017, from 5-10pm; and Saturday, October 28, 2017 from 5-10pm. Many Halloween-themed events are scheduled, including trick or treating for kids age 3-12 at the TownCenter shops on Saturday from 5-7pm, with free treat bags to the first 300 kids. This event will feature FREE live music both nights, and we will also have beer and wine sales, and several food trucks! Find more information on the event Facebook page. As always, the whole family can relax in our Courtyard around the Clock Tower, with hula hoops, giant jenga, chess, checkers, and more! 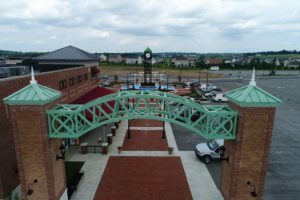 TownCenter at Firestone Farms is inspired by the legacy of Harvey S. Firestone, who proudly called Columbiana his home. 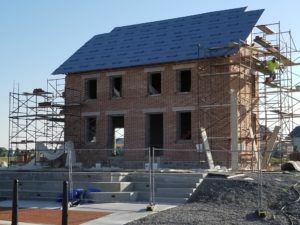 In honoring that heritage and revolutionary spirit, the Firestone Farms community is transforming Firestone’s original homestead into the premiere development property in the tri-county area.